This wedding topper is made from 1/4" thick wood and laser cut with the information you provide us. We will finish it in the size chosen and the edges will be black/brown from being laser cut. Height will vary according to the width that is chosen with a mounting stake incorporated into the design measuring 2-3" in length. It is beautiful and looks just like the picture. I was extremely impressed with the packaging as well. Beautiful item for a very reasonable price. Perfect! Used this for my brother and sister-in-laws cake topper for their reception. Great size, nice quality! 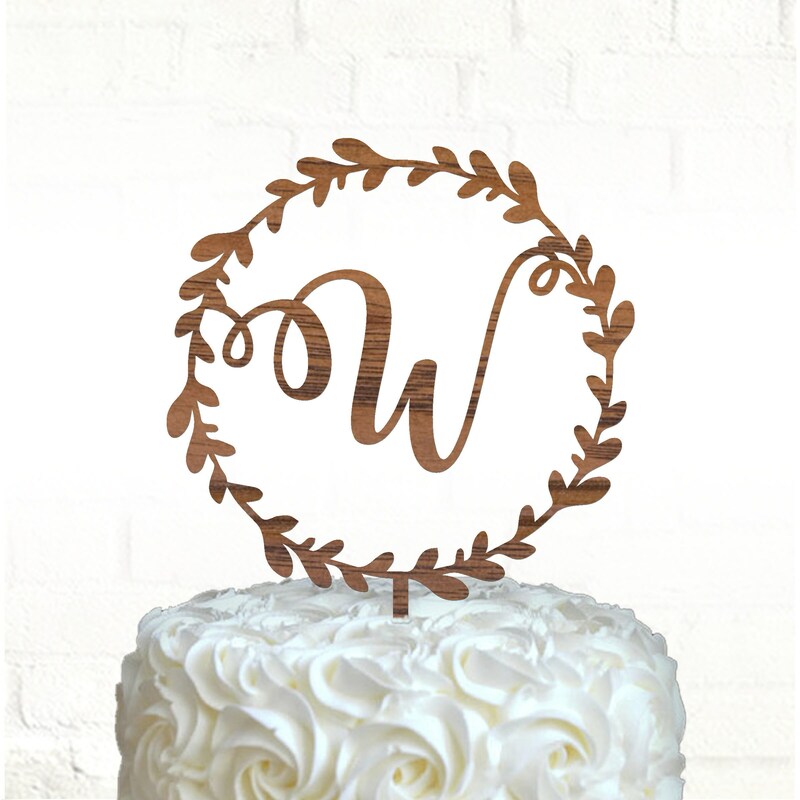 This cake topper is absolutely beautiful! Quick turn-around time on the production, packaged very well, and I love that you shipped it shrink-wrapped against a piece of wood for protection. The bride is thrilled with it as well. Thank you for a quality piece of art work. It's nice and thick too, not flimsy at all. Excellent shop, I highly recommend them. I am very happy with my cake topper! It came very quickly! It is very intricate, yet seems sturdy enough to hold up through my wedding reception and beyond! It was packaged very safely in a bubble mailer.